hello, kinda weird qoustion, but i am at a loss here. 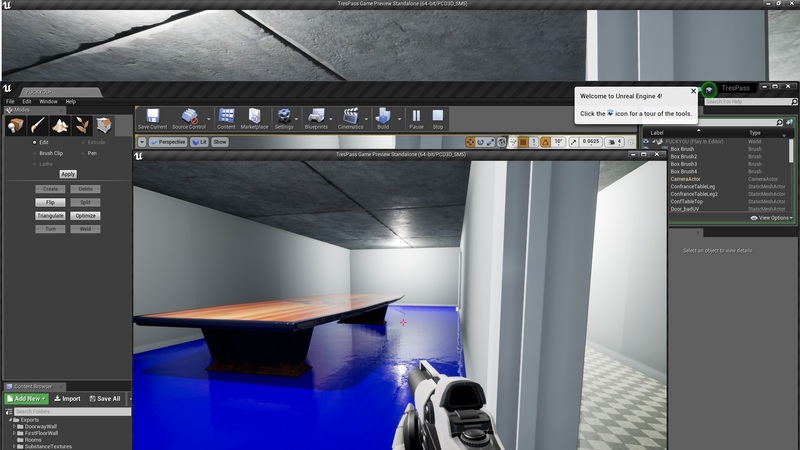 I am trying to create some buildings from Trespasser in UE4, but i cant for the life of me figure out what the textures inside some of the buildings are supposed to be. 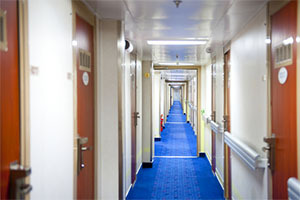 One of em are the hallways inside the Cray Computer building, the white walls with the gray line, are they concrete, some kind of white wallpaper with a gray line painted on or is it som kind of railing (kinda like these http://images.r.cruisecritic.com/featur ... aship2.jpg but cant imagine why it would be in that building). And what are the Red stuff Hammonds mansion is built out of? as a i said, weird qoustions, but i cant seem to wrap my brain around it. Hia. In my opinion, it's high grade, mold resistant drywall like you see in a hospital. Hammond's mansion I'd guess would be stucco? I never really looked at the textures that closely, but if you export them that ought to give you a better idea. Thanks, now i know what to google to get refrence pictures, didnt even know "drywall" was a type of wall material (English not beeing my native tounge theres alot of technical jargen i am not familiar with). I cant extract files on the PC i am currently working with at the moment, but is the floor in the "meeting rooms" the kinda plastic floor many labs have, or blue carpet since its a meeting room thingy? 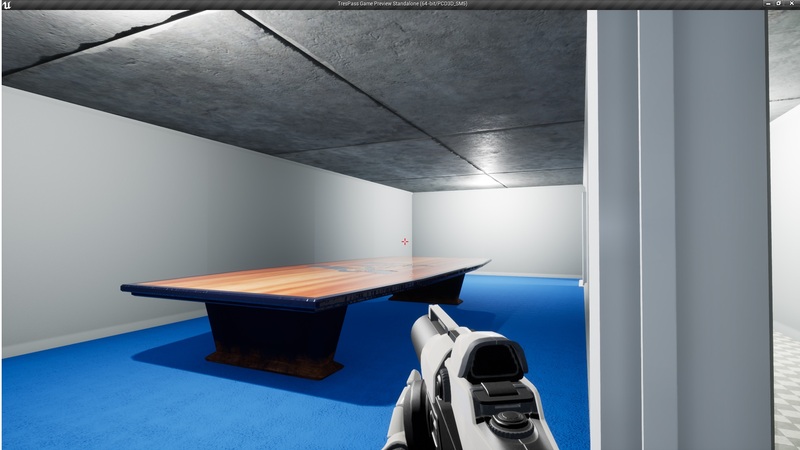 Yeah, non of the textures are anywhere near done, its just placeholders, and I kinda agree, as a conference room the carpet look better, or if i would take a artistic freedom some kind of wooden floor. does the size (length of the building) seem right? That looks pretty good! The size seems about right. You might want to export the model via TresEd and measure its dimensions in Max if you want to be sure though. I think that perhaps the floor textures are a bit too shiny though, they don't look very worn-down like they do in Tres. Personally I wouldn't care too much to fit the length of the original Trespasser building. From what I experience it seems like a lot of times a lot of the buildings are build without any specific measurements. This can clearly be seen with the Plantation House (the non-main parts) and Hammond's House, where the doors are like 3-4 bigger than Anne and looks really weird. Hmm i got a problem, was going to go through the "Village" level to go over some of the designs and furniture in that level. But i cant seem to fin it with TresEd. I am aware i got to open the level in Trespasser the game for the file to pop up, but it wont show in the Trespasser folder. I just got the start area and the Lab level there. solved it, had to open it with the standard EXE and not a ATX exe, my bad. Every room is one model to make texturing easier. This building looks very interesting... What are your plans for it? Dont realy have any plans, I wanted to learn to create indoor envirements in 3d for games, so i most likely just create everything in the building with props and textures. Then upload it to a server and just let people use em for what they want. Interesting.. What format do you plan to release it in? If you can export in 3DS format, we could put it in Trespasser. What software are you using to create the model? 3ds Max? If possible I would avoid the .3ds format as it doesn't store longer texture names and I just find it more messy. 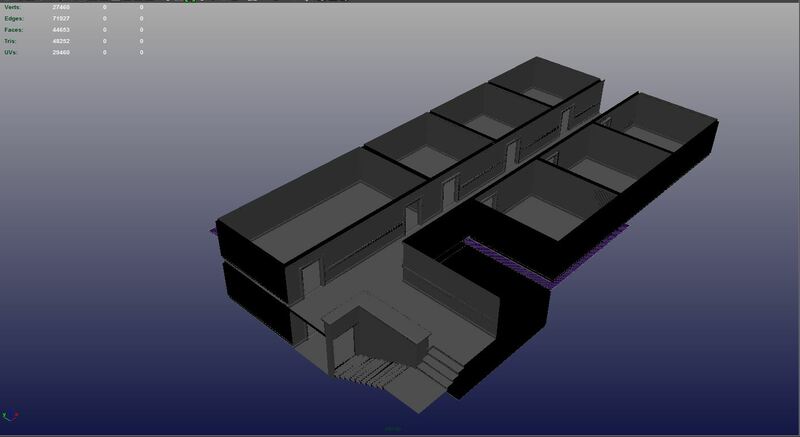 If using 3ds Max, the TPM export/importer is better.